Even though an office may seem like a relatively clean place, there are many different types of waste that accumulate in different parts of the office and the office can become rather messy and cluttered. Fortunately, there are many things that you can do to get rid of the waste in your office. From doing small things like instigating paper-saving strategies for you and your colleagues to getting rid of all the rubbish in a skip bin, here are three tips for reducing office waste. For many people, it feels a lot better to read information from a physical piece of paper or portfolio rather than collecting that information when it’s in an email or a document. The same can be said when making changes to a document. For some, it feels so much better to just be able to put pen to paper to make those changes rather than making those changes on your computer. However, if you keep producing physical copies of documents, eventually they can start to accumulate if they’re not disposed of properly. Using electronic copies of documents not only reduces the amount of waste, but it’s also easier on the environment. If your business needs a product, the packaging is one of the core components in making sure that your product gets to you clean and undamaged. However, once you have the product, the packaging has essentially served its purpose, unless it needs to be used for packaging again. As packaging is a physical object, it can accumulate and become rather messy if it’s left unchecked. There are many different things that you can do to remedy this, such as asking the deliverer to take the packaging with them, or you can order products that have more manageable packaging to deal with. If you find that your office is extremely cluttered with papers, packaging or any other waste items that you might find in the office, you may want to consider hiring a skip bin for all of that waste. You may want to hire a 2 or 3 cubic metre skip bin if your office is small or if you have a small amount of waste that you need to dispose of quickly, or you can hire a 9 or 10 cubic metre skip bin if you have a larger office or if you have a large amount of waste to get rid of. These are just some of the things that you can do in order to reduce the waste that’s cluttering up your office space. 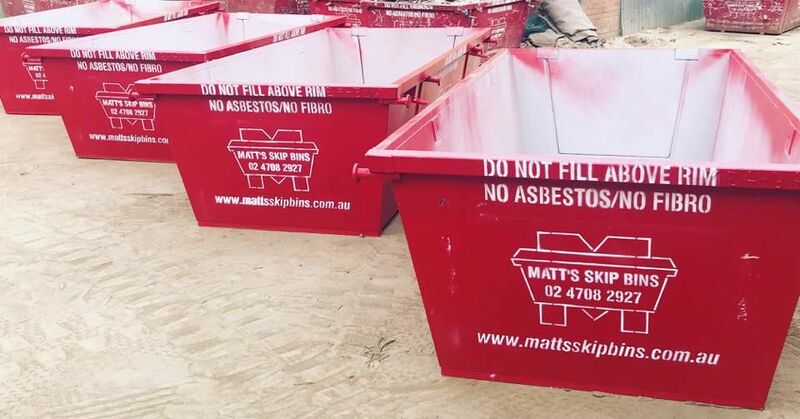 If you find that you need a skip bin in order to dispose of waste, talk to Matt’s Skip Bins, one of the leading distributors of skip bins in Sydney. We have an extensive collection of skip bins, suited to all types of waste. Simply put, dispose of the waste in the skip bin and we’ll collect it and dispose of it properly. If you’d like to learn more, give us a call on (02) 4708 2927 today.